Did you know about the Minitab Network group on LinkedIn? It’s the one managed by Eston Martz, who also edits the Minitab blog. I like to see what the members are talking about, which recently got me into some discussions about Raman spectroscopy data. Not having much experience with Raman spectroscopy data, I thought I’d learn more about it and found the RRUFFTM Project. The idea is that if you have a Raman device, you can analyze a mineral sample and compare your results to information in the database so that you can identify your mineral. Not having a Raman device, the site is still exciting to me because all of the RRUFFTM data are available in ZIP files that you can download and use to illustrate some neat things in Minitab. So let’s say that you download one of the ZIP files from the RRUFFTM Project. The ZIP file contains a few thousand text files with intensity data for different minerals. Some minerals have a small number of files. 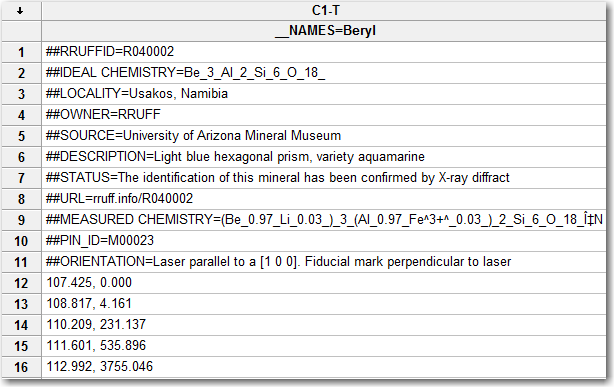 Some minerals, like beryl, have many files. Turns out beryl’s pretty cool. In its pure form, it’s colorless, but it comes in a variety of colors. 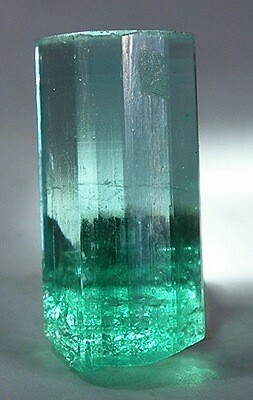 In the presence of different ions, beryl can be aquamarine, maxixe, goshenite, heliodor, and emerald. While I could certainly rearrange this with formulas, I need only a few steps to open the file ready to analyze. Choose File > Open Worksheet. Click Open. Minitab automatically recognizes that you have a text file, opens common options, and lets you see a simple preview of your data. Scroll down so that you can see the first row of numbers, in this case, row 13. Uncheck Data has column names. In First Row to import, enter the row that has the data. In this case, 13. 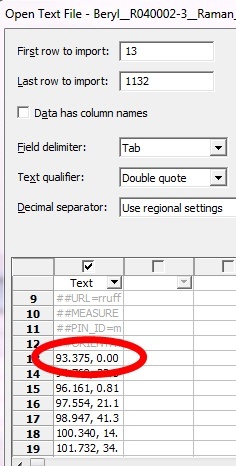 In Field Delimiter, select Comma. Now your data is in a nice, analyzable format. But remember that there are more than 30 files with data on beryl. To analyze them together in Minitab, the data need to be in same worksheet. Choose Data > Merge Worksheets > Side-by-Side. 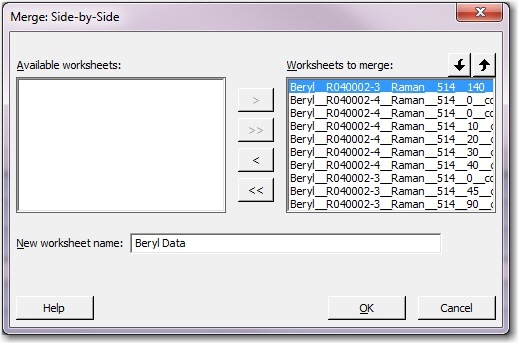 Click to move all of the data from Available worksheets to Worksheets to merge. All of your data is ready to go in a single worksheet. The options that Minitab provides for opening and merging data sources make it easy to get a wide variety of data ready for analysis. The data features are a good complement to the easy graphs and analyses that you can do in Minitab. The image of the emerald is by Rob Lavinsky and is licensed under this Creative Commons License.